the app the first screen you come to is where your recorded calls will appear. you’re only going to be recording a certain type of call. recording your next call and see how clear the sound is. to be making business calls. 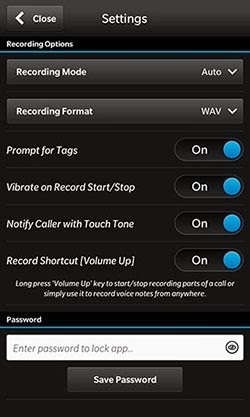 Android user can make use of Automatic Call recorder from play store. Oga Yomi, abeg apart from airtel, is there any other cheat workinng right now? bro yomi, plz i need ur help, I cannot delete any application on my tecno L3 & if i tried to do so & i dot it deleted, if i switch on my fone back i will see the application thr again & i ve tried doin hard resetting on it several times but to no avail..
And right now d phone is complaining of low storage. Plz what can i do to get my fone working back again. Thanks.. waiting for ur reply bro. alright bro, tanx so much. i will do as you have said. You are welcome man, you have a great site. Keep it up! Yomi dis app is not free to download. We need to buy it online. Yes, this particular app is paid because it's the best for your z10. It' just #1.99 which is equivalent to #300. So i believe every business oriented personnel can afford it. Please I know my question is not related to the post in anyway but please help me out. I am using Q10, I finished my MTN data b4 the validity period. Can I subscribe again? Or do I have to wait until the validity period expires?